Another Wednesday is upon us and that means new comic book day, but this week's usual trip to my local comic book shop will be a somber one, as not just the comic's world but the entire universe has lost one of its greatest creative forces of the past century, Stan Lee. Every bit the larger-than-life character as the ones he helped create, Stan Lee embodied everything bombastic and beautiful about the comics medium and helped champion it and elevate it from throwaway kiddie books to the absolute pop culture phenomenon it is today. Those now legendary characters he co-created — Spider-Man, The Hulk, Fantastic Four, Silver Surfer, Avengers, X-Men, Dr. Strange, Daredevil, Black Panther, and so many more — leaped off the page with fantastical stories of not just good vs.evil, but of real-world problems that took place in a real world setting (mostly New York City) with characters that expressed actual human emotion and had flaws. Lee was well ahead of the curve, writing stories and characters that were allegories for the civil rights movement and later to include the LGBTQ community (X-Men), anti-bullying (Spider-Man), and racial equality (Black Panther), to name just a few. “Let’s lay it right on the line. Bigotry and racism are among the deadliest social ills plaguing the world today. But, unlike a team of costumed super-villains, they can’t be halted with a punch in the snoot or a zap from a ray gun. The only way to destroy them, is to expose them — to reveal from the insidious evil they really are.” — Stan’s Soapbox, 1968, the year that both Martin Luther King, Jr. and Robert Kennedy were assassinated. These characters became real and were anything but two-dimensional. Helping breathe live into these miraculous new myths were amazing artists like Jack Kirby and Steve Ditko. Sadly, both Kirby and Ditko were sometimes forgotten in the public's view between the hussle and bustle of promoting the Marvel brand — again, something Stan Lee dreamed up himself and was tireless in promoting his entire life. 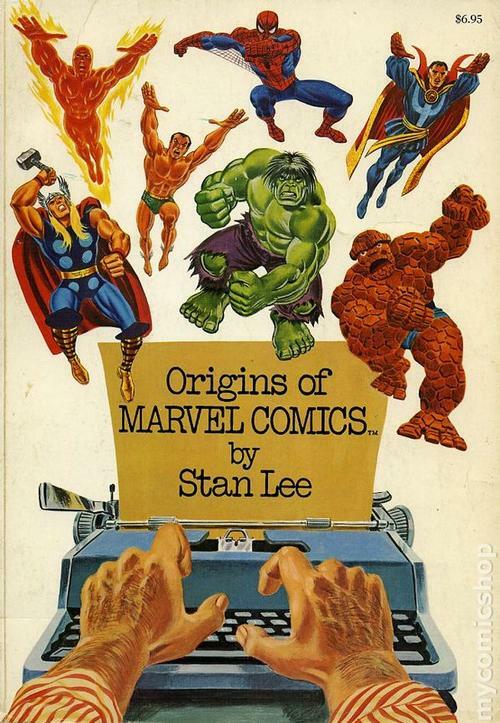 Stan would later in life crusade to give credit where credit was due to his artistic collaborators (and Marvel also would later correctly compensate the families of said creators). As fate would have it, Steve Ditko also passed away earlier this year, as did another unheralded Marvel artist, Marie Severin. Make no mistake, without the contributions and collaborations between these people, there would have been no Marvel Comics Universe. You can, of course, find multitudes of titles featuring Stan's work in our catalog... but then again, you really can't read, listen to, or watch any form of entertainment without experiencing some of Stan's and Marvel Comics influence on the larger pop culture zeitgeist. Just being on social media and the internet the past few days, it seems everyone has a story about either meeting Stan Lee or how he inspired them professionally or personally. Of course, I'm no different. 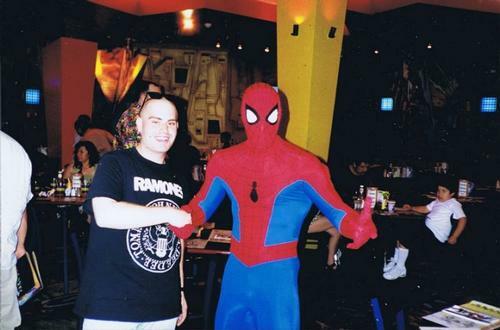 I never met Stan Lee, but surely had the chance over the years of attending comic cons and other industry get-togethers. Regrets? I may have a few. But my favorite character from some of my earliest memories has always been Spider-Man. I learned to read and develop a love for reading growing up thanks to Lee and Ditko's Spidey stories! Those stories and life lessons will continue to live on and influence others long after their creators have left the building. 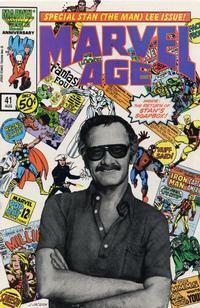 I grew up reading the superheroes from Stan Lee. I will miss him dearly, as I loved his comics very much. Add a Comment to Stan Lee: Excelsior Everlasting!